So this was pretty fun. 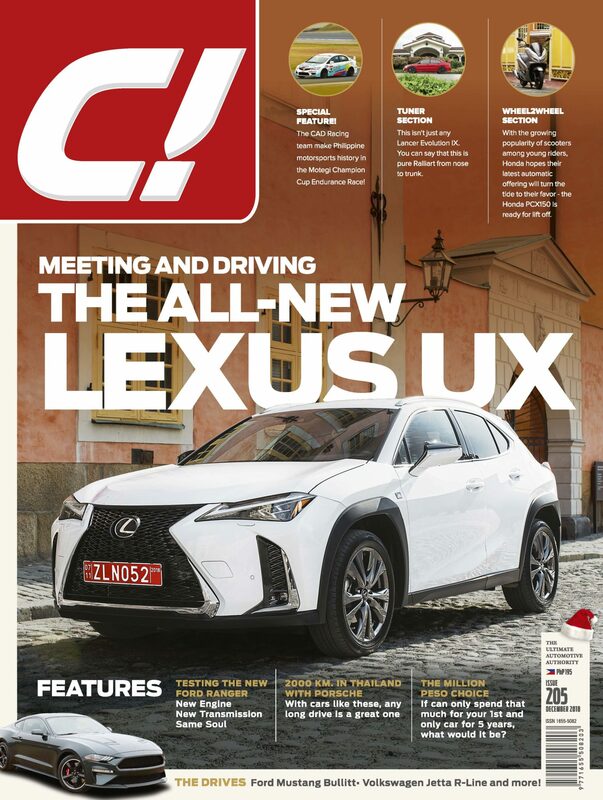 I don’t mean just the new Lexus UX, which is a really interesting new entry into a very active market. I don’t mean just the loooong drive with two very different Porsches across three Southeast Asian countries, which was exhausting and eye-opening and exhilarating all at once. I mean having to choose what to get in the local market for under a million pesos. This all came from an idea being thrown around by Nics and Paolo and Chris, and it transformed into something very enlightening. It showed us how many awesome choices there were available at all these different levels, or for all these different uses. My personal first thoughts were always just out of the window of opportunity, the top-level Yaris for example. The car actually sparked the discussion, because I have always loved the shape of the car but it actually drove more comfortably than sporty. Which makes sense for most, I guess. Chris though was waxing lyrical about the Suzuki Swift, and we were worried we would be getting concerned calls from Suzuki and from Chris’ wife and new baby. Paolo was going with a practical choice, the Expander, which threw out our idea that single people would make the fun calls. But then Nics went with a Jazz. Inigo with a truck and a bike, so he went with the single thing. Georges picked a City, which I have always thought was an awesome fun light car. Pocholo Ramirez always drove one, so you can’t go wrong there. But then that whole family always said it didn’t matter what car, or brakes, or tires, or whatever. They were racer drivers, their job was to adapt. Kevin went with one of the new VWs, an intelligent choice. And Angel snuck in with the Vitara while we were arguing Swift and Jimny. Maynard, our biker, chose something he could haul bikes around with as well, the Toyota HiLux. Jason went with another stalwart Toyota, the Altis. Safe easy choice, you say? We will make sure, by the time you read this, we will have tossed them around on track (OK, Georges will have tossed them around on track) to try and explain how important features like traction control really are for modern cars. Francis, ever the tuner, took another Toyota. And a whole other engine. Mavelle, who we actually just sent to driving (and riding) school, went with a Picanto, the least expensive of all the choices. But then she chooses to use the extra money for a business, as opposed to a motorcycle, or another engine, or other cool stuff. We shall see. What did all this tell us? For one, there are a whole lot of worthy vehicles at that level, for another we have a whole lot of pretty inventive people here at C! And since we can’t double up on anyone’s choices… I’m just going with a Rolex GMT. Or two. And maybe have everyone justify their choices on a regular basis whenever I need a ride. There is passion, there is joy, there is enthusiasm. All where you find it, or when you bring it yourself. We thank you all for a wonderful year and we hope to give you even a little of the wisdom and enjoyment we have received this year and all of them.